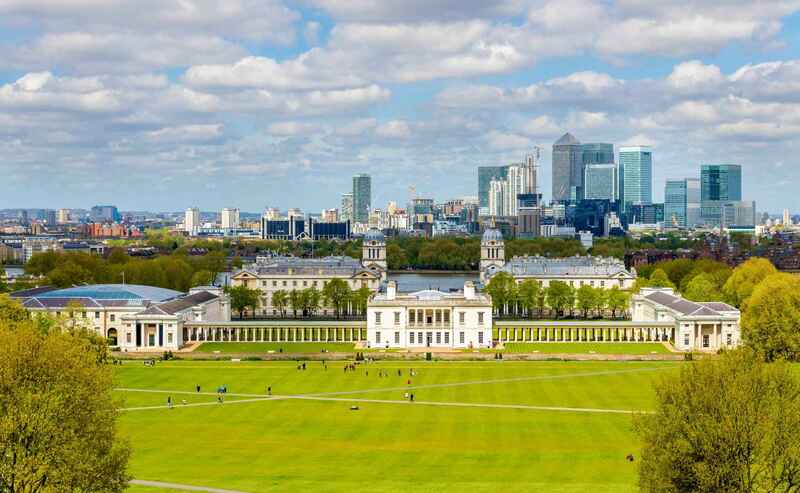 Greenwich Park is a former hunting park in Greenwich and one of the largest single green spaces in south-east London. One of the Royal Parks of London, and the first to be enclosed , it covers 74 hectares (180 acres), and is part of the Greenwich World Heritage Site. It commands fine views over the River Thames, the Isle of Dogs and the City of London. The park is open year round. Roughly in the centre, on the top of the hill, is the Royal Observatory, Greenwich. At the northern edge is the National Maritime Museum and Queen's House, and beyond those Greenwich Hospital. To the east is Vanbrugh Castle. To the south is Blackheath and in the south western corner is the Ranger's House, looking out over heath. To the west lie the architecturally fine streets of Chesterfield Walk and Croom’s Hill (Pevsner 1983). On the upper level, there is an extensive flower garden complete with large duck pond, a rose garden, a cricket pitch, many 17th century chestnut trees with gnarled, swirling trunks, tennis courts, a bandstand, Roman remains, an ancient oak tree (the 'Queens Oak', associated with Queen Elizabeth I) and an enclosure ('The Wilderness') housing some wild deer. Nestling just behind the Observatory is the garden of the former Astronomer Royal, a peaceful secluded space which is good for picnics and also sometimes used by theatre groups (Midsummer Night's Dream, etc.). On the opposite side (i.e., just south of the Wolfe statue) is the Park Café. There is another, smaller café by the north west gate. 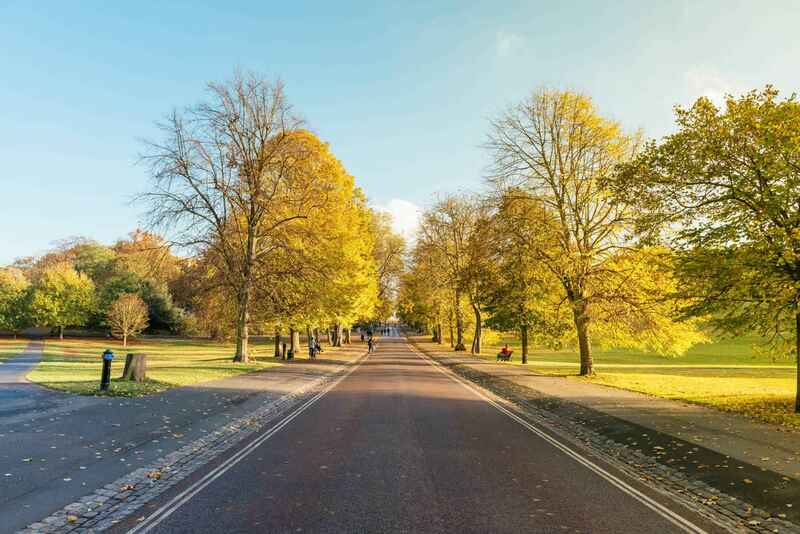 Greenwich Park | eTips Inc.